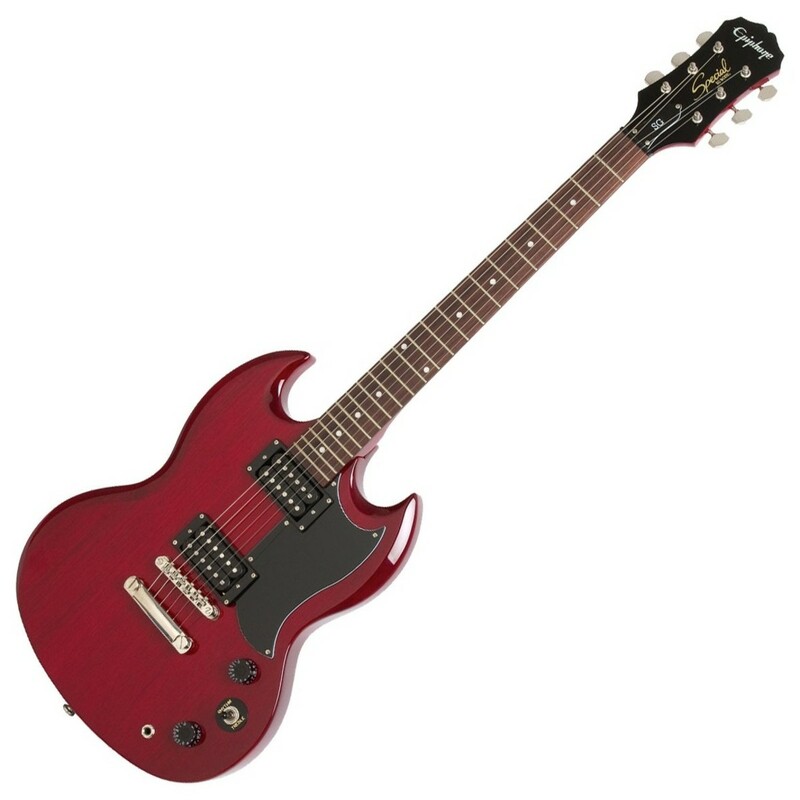 The Epiphone SG Special, Cherry is fully equipped with a pair of Epiphone open-coil humbucker pickups, delivering that classic rock tone. A lightweight mahogany body with a double cutaway provides a comfortable performance, as well as easier access to the higher frets. The SG Special also features a SlimTaper D neck made from okoume and is paired with a rosewood fingerboard which offers fluid hand flexibility during any performance. Additional features include a Locking Tune-O-Matic Bridge for maximum sustain and premium tuners for precise intonation. With its full host of excellent features and more accessible price, the Epiphone SG is the perfect choice for beginners as well as working musicians looking for that signature tone and appearance. 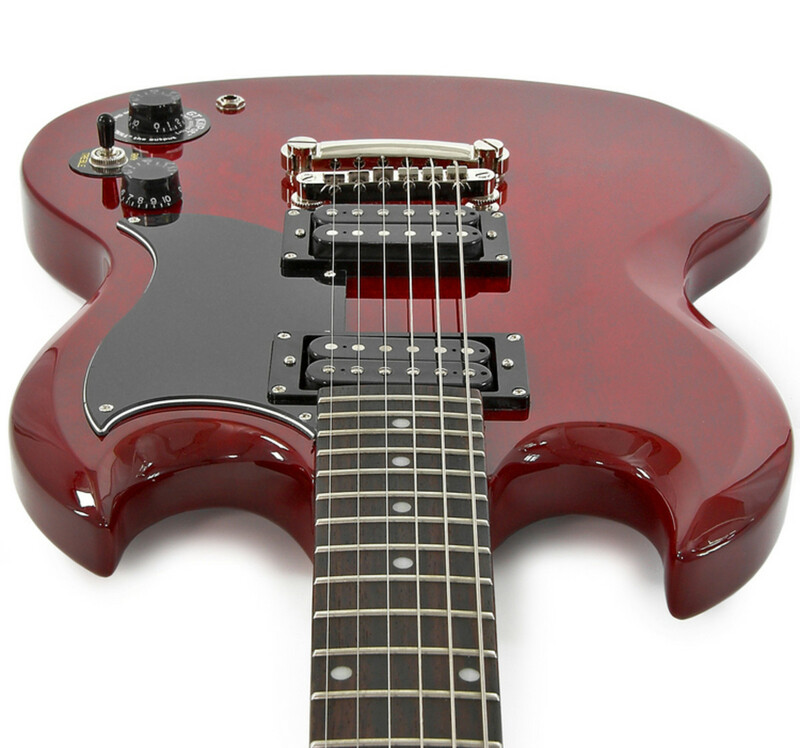 Loaded with a pair of Epiphone open coil humbuckers, the SG Special produces a sound which will captivate any rock fan. The pickup's range maintains clarity yet emulates rich and subtle tones with a smooth midrange and a more pronounced cut on the top end. The pickups consist of a 650R humbucker at the neck and a 700T humbucker at the bridge; which together can satisfy a whole range of different styles. The SG Special features a mahogany body which is crafted into the classic SG body shape with elegant and comfortable contours. 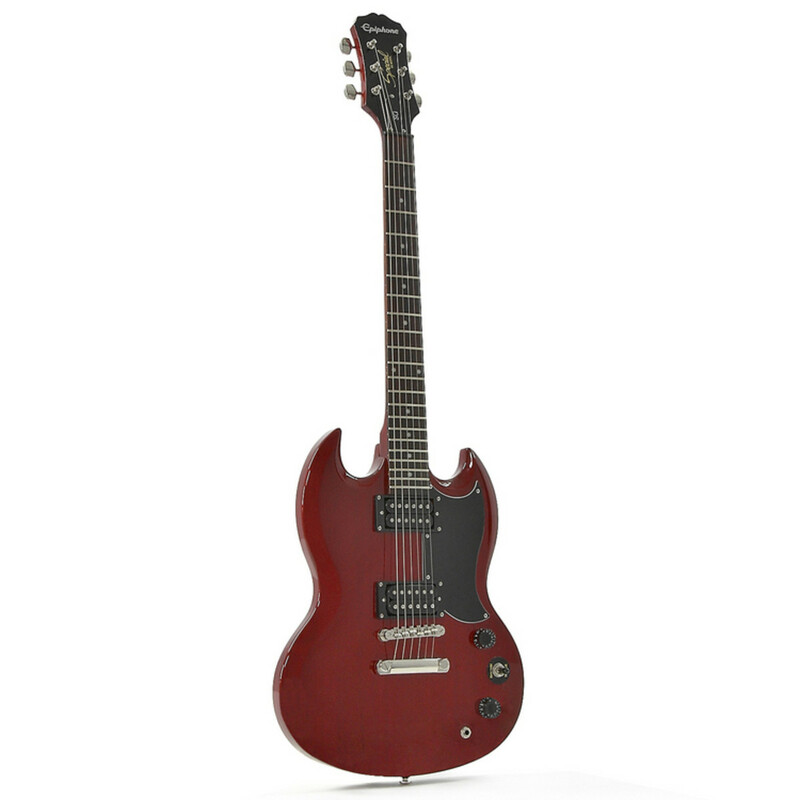 Accompanied by a black pickguard and a vintage Cherry finish, the look and feel of the SG Special is just like the original yet is available at a more accessible price. 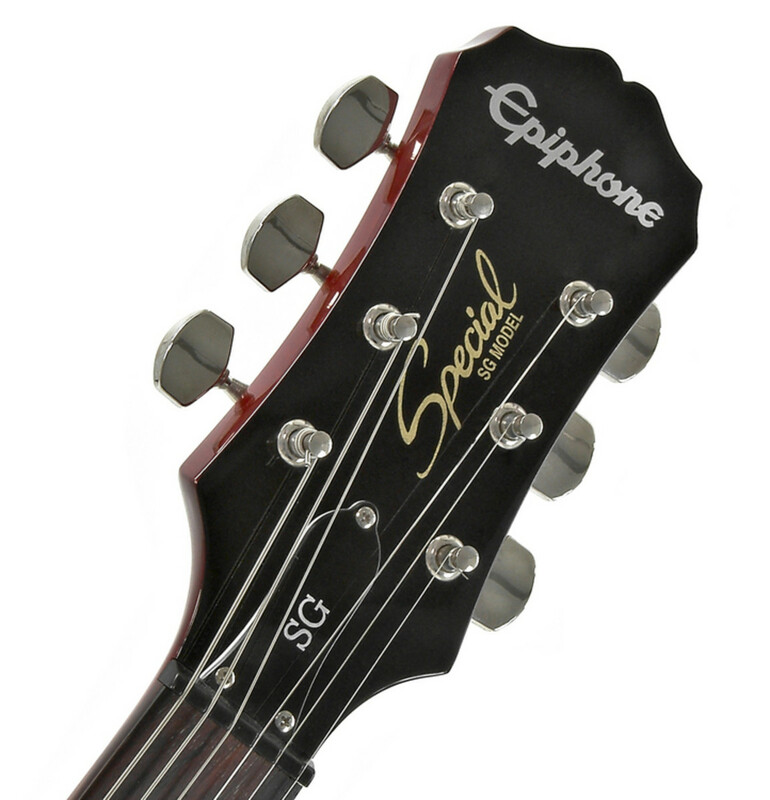 With its mahogany body, the Epiphone SG Special delivers a warm and resonant tone, while still being well balanced and with plenty of good grind and bite. The SG Special Guitar's neck is made from okoume which offers bright and light tones, and the neck has a tapered heel that allows easy access to the higher frets for added comfort. The bolt-on okoume neck provides more high end bite and grind, as well as plenty of snappy tones; and it is coupled with a warm rosewood fingerboard, ideal for creating articulate tones that are soft yet punchy.